The Sanken CUB-01 is designed for use in many situations, from TV and film field shooting to broadcast studio production and conference table recording. 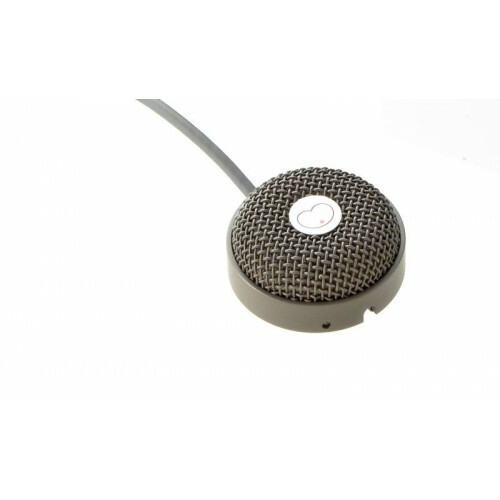 Because of its small size it is easy to conceal from the camera, and can be positioned in a variety of environments, for example, attached to the ceiling of a car with two-sided sticky tape. Although it's small (32.5mm diameter, 14mm height, 45g weight), its sound is comparable to much larger boundary style microphones. The CUB-01 has a unique square-shaped capsule housing which increases the effective area of the diaphragm. With its cardioid directional characteristics human narration and dialogue are clearly recorded while eliminating unnecessary background noise.